Whether you're emailing photos of the grandkids, downloading movies and music or keeping your Facebook page up-to-date, West Carolina Tel has the speed you need for fast access to the Internet. If you are a West Carolina Tel High Speed Internet customer, then you will have access to all the World Wide Web has to offer. 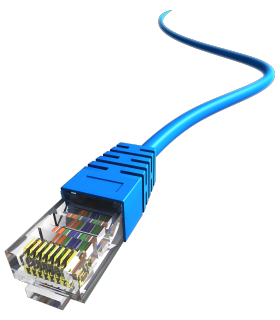 With more and more devices connecting to the Internet, a fast and reliable Internet package is essential. 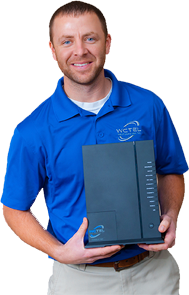 WCTEL has the packages you need to keep your devices running smoothly and efficiently. With West Carolina's High Speed Internet there is something for the whole family to enjoy. NEW! YOU CAN NOW GET 60 MBPS OR FASTER INTERNET WITHOUT A PHONE LINE! Fiber is not available in all areas and speeds may vary. Please call to check for availability. All pricing excludes taxes and surcharges. Connect all of your wireless enabled devices with a worry-free high quality wireless home network. Additional benefits include: free installation of the WiFi router, connection to all of your devices, password protect your wireless network, and receive assistance from our help desk which provides technical support for setup and will also help you add additional devices to your wireless network. Test our different speeds to determine which is best for you by comparing how quickly different speeds complete various tasks.